Super Bowl Sunday might as well be considered an annual holiday in some households. It’s a time to get together with your friends and family to root for your team, watch the best (and worst) commercials of the year, and eat way too many snacks. 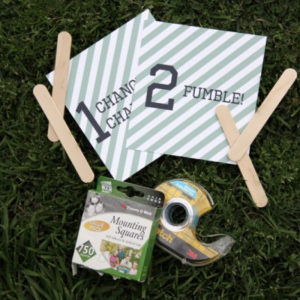 Looking for ways to get your youngest fans as amped up about the game as you are? We’ve got a few suggestions. 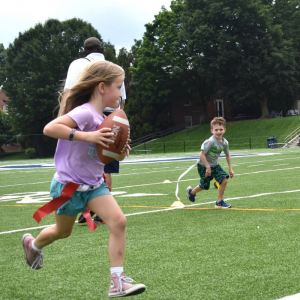 Saturday before the big game, bring the excitement off the screen and onto your home field with some flag football! This is a great way to teach your kids the rules of the game while getting some exercise at the same time. Raise the stakes by naming each team after those competing in the Super Bowl. Commercials are arguably one of the best things about the Super Bowl—some people tune in for them and ignore the game completely! These easy DIY rating panels from Studio DIY rates each commercial from 1: Change the Channel to 5: Youtube Sensation! 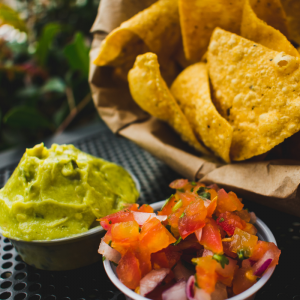 What would a Super Bowl party be without snacks? Get your family in the kitchen together to help mix, cook and decorate all your favorite Super Bowl foods. Menu not set yet? Check out these Super Bowl Snacks from the Food Network. Yes, really! Make sure all eyes are glued to the game with Football Bingo! Make your way across the board every time your team completes a pass, a helmet pops off, players high five, a painted fan pops up on the jumbotron, etc. 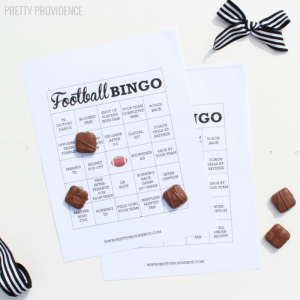 Get started with these printable Football Bingo cards from Pretty Providence! What’s your family’s favorite Super Bowl Tradition?